Buyers Be Aware of 13 Extra Costs BEFORE You Buy Your South Shore Home! Get FREE Instant Access to this Special Report by completing the short form on this page. Whether you're looking to buy your first home, or trading up to a larger one, there are many costs - on top of the purchase price! Extra fees, such as taxes and other additional costs, could surprise you with an unwanted financial nightmare on closing day if you're not informed and prepared! Some of these costs are one-time fixed payments, while others represent an ongoing monthly or yearly commitment. It's better to know about them ahead of time so you can budget properly. To help you understand what these extra costs are, and in what situations they may apply, we’ve prepared a FREE Report : "13 Extra Costs to Be Aware of Before Buying a Home". Learn more how you can make sure you’re budgeting properly for your next move. Read our FREE Report! No Cost, No Obligation! Fill out the short form on this page. 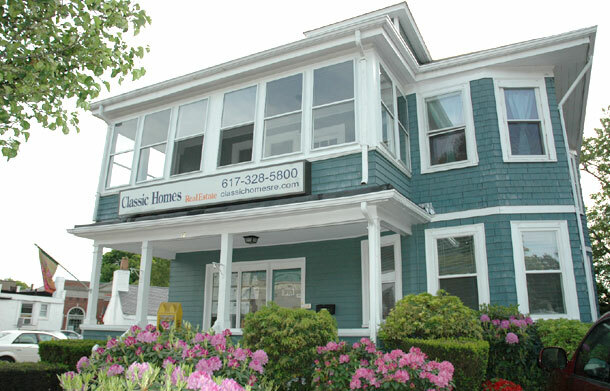 Classic Homes Real Estate has been helping South Shore Buyers just like YOU for nearly 30 years!